Find out how to use Snapchat Bitmoji Friends Filter. This new feature allows you to create filters or lenses using Bitmoji which you can use to reply Snaps from your friends. Snapchat adds Bitmoji as one of its features in 2016. 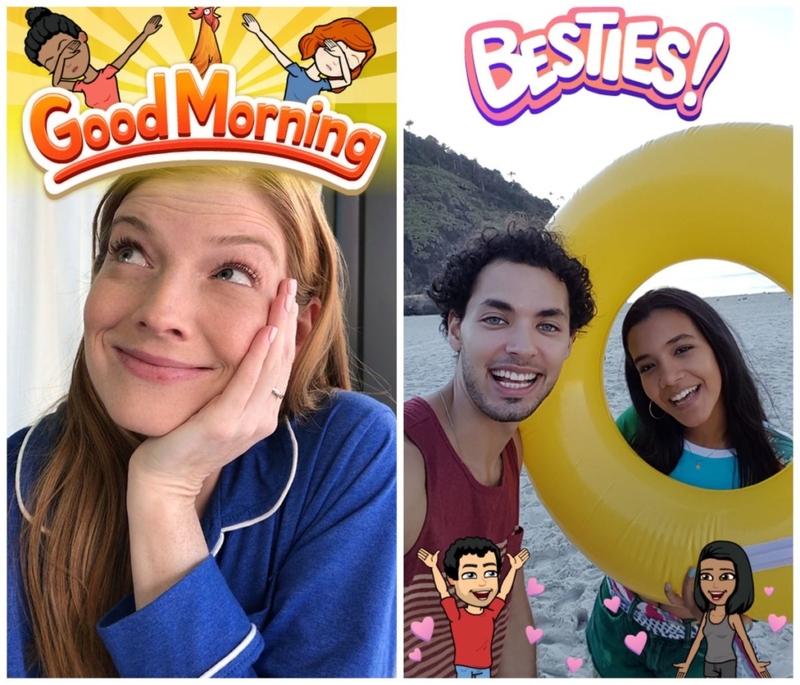 With Bitmoji, Snapchat users can create a kind of comic-style user avatar that can be used as stickers on your Snaps. In order to use Bitmoji on Snapchat, you must have a Bitmoji account and then connect it with your Snapchat account. Find out how to connect Bitmoji and Snapchat here. Update your Snapchat app to the latest version every time there is a new feature. Go to Google Play Store or App Store to get the update. Snapchat Bitmoji Friends Filters can be used to reply snaps from your friends. If you want to use it, make sure your friends also have Bitmoji connected with their Snapchat account. When you are doing conversation with your friend on Snapchat, double tap to reply to a Snap, then the new frames will appear. You can create your own personalized Bitmoji to the Friends Filter, which changes throughout the day and there are different once to choose from that reflect the time of day or something unique about the friendship. It remains unclear whether this Bitmoji Friends Filter can also be used on Stories. Snapchat adds more Bitmoji elements to the application. Previously they added Bitmoji with a variety of facial expressions to replace selfie photos on the user’s Snap Codes that did not get a good enough response from Snapchat users. So that’s how to use Snapchat Bitmoji Friends Filter. Make sure your friends also know about it so you and your friends can use Friends Filter together.